The ETCHS2U 20-Slot 2U Rack Mount Media Converter Chassis for ET Series 2 Media Converters lets you add an un-managed, 20-slot media converter chassis to your rack or cabinet to provide central power and cooling. 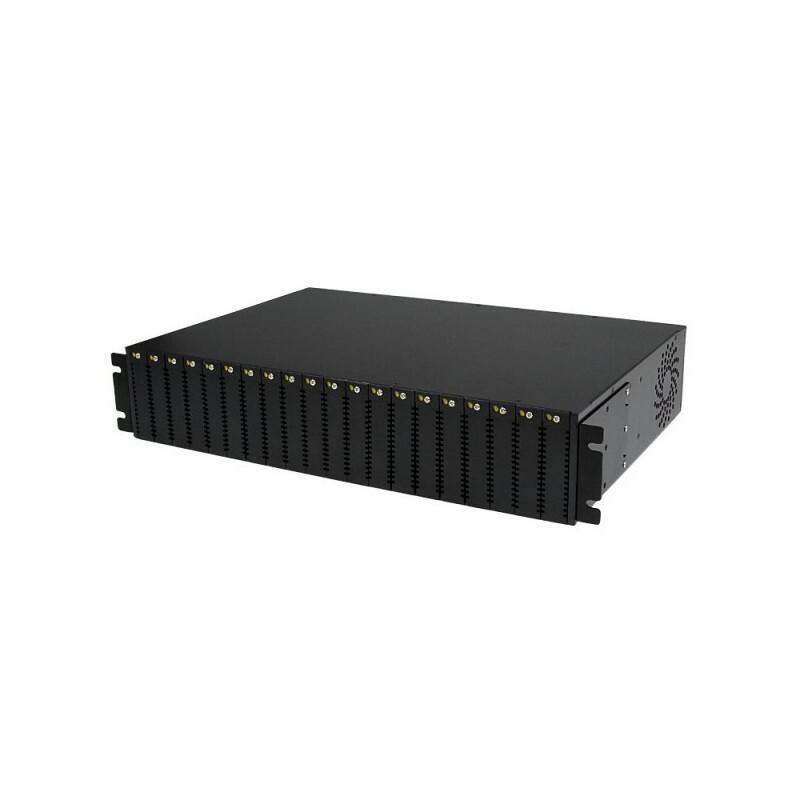 The media converter rack includes a single 200W power supply to centrally power all 20 slots, with an additional slot to add a redundant power supply (ETCHS2UPSU) for maximum up-time. It also includes two cooling fans (one per side) to help extend the life of your media converters. A perfect accessory to the StarTech.com ET series 2 converters, the 2U chassis is designed so that all critical components (Power, Fans and Media Converter Cards) are hot swappable to avoid network disruption.